I relate to that! Shelagh in Vermont. That’s me on the right–I’ll be 91 next month. Congratulations, Louise, and many happy returns! Oh, don’t tease us! 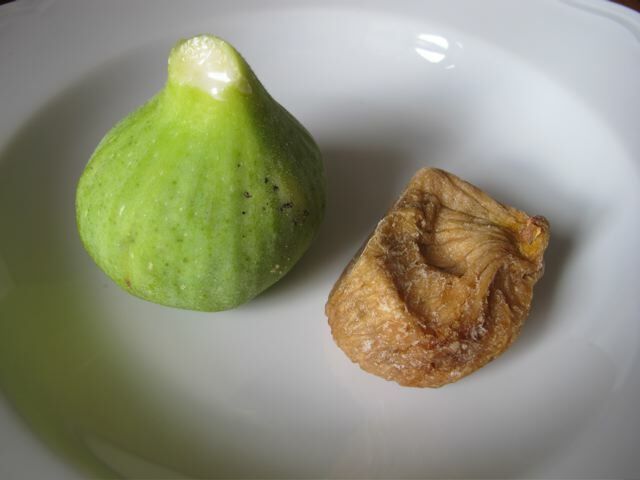 What are these….figs perhaps? on September 4, 2011 at 5:59 am | Reply Dianne P.
I’m so envious! My friend Leo grew those same figs in his front yard. He died a while back. He had to pick them before the birds and bees would get to them. I miss him and those delicious figs.